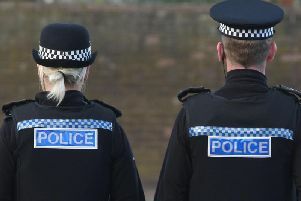 The union representing police officers in Lancashire is concerned by the impact stress is having on those serving in the county. According to Police Federation figures, 177 officers in Lancashire have been signed off with stress-related illnesses in the past year. And Lancashire Police Federation chief Rachel Baines blamed an ever-thinning blue line for the issues officers were facing. She said the front line of British policing was ‘starting to crumble’ blaming extra pressures on the services for increases in stress. She said: “We at Lancashire Police Federation have noticed that there are more and more people certainly reporting to us with these types of issues. “There’s too much pressure being placed on the front line, and they are starting to crumble, and this is a result of those extra pressures that are placed on them. “For us, there’s fewer police officers keeping people safe on the streets, but in addition to that we’ve obviously seen that those that are left are being put under more pressure. And she called on any officers with concerns to approach their union directly. Mrs Baines said: “Certainly anyone feeling stressed or under pressure needs to come and approach us. “The numbers have increased over the last three years when you look at the figures, not just in the last 12 months. “It’s a number that is steadily rising, so I think if people can come to us there are things that we can do to help. Lancashire Police said it took the issue of stress very seriously. Deputy Chief Constable Andy Rhodes, who is also the National Police Chiefs’ council lead for organisational development and wellbeing, said: “More than 80 per cent of money spent on policing goes on people. “We know police officers and some police staff are regularly exposed to trauma and highly-stressful events which is why we need to focus all our efforts on their wellbeing and resilience. “Culturally stigma still exists preventing our staff from talking about how these experiences affect them and so it is the job of all police leaders to create the right culture where people feel confident to talk so that we can work on prevention rather than cure. “We want our people to thrive in this incredibly rewarding job, not just survive. “Every one of the 43 police forces in England and Wales have formally signed up to their respective Public Health charters to prioritise workplace wellbeing, the biggest workforce commitment in the country and rightly so.